NEW WHOLESALE VENDING MACHINE EQUIPMENT SUPPLIERS. Please contact these NEW vending machine suppliers direct for more information about their vending machine distribution types: Snack, Soda, Drink, Coffee, Candy, Food, Healthy Vending Machines, Micro Markets, and pricing for new vending equipment sales. Candymachines.com is family-owned and operated specializing in candy, gumball, sticker machines, gumballs, candy, and other bulk vending supplies. For over 20 years, Candymachines.com is in business to help your business succeed! Factory Direct Vending from the original dream of founder F.A. Wittern. Since 1931 our company has produced over 2 million vending machines. We sell high quality Snack, Soda, Combo’s, Food, Deli, Bottled Drink vending machines. New Vending Machines at Factory Direct Prices! Zero Down Financing! Call 1-800-454-2454 today! Fastcorp Vending – Your Robotic Storefront is Open for Business. Fastcorp has been an industry leader in robotic retail and vending technology for almost three decades. Our unique product storage and delivery method offers a versatile, reliable, efficient and cost effective approach to vend just about anything. Our machines can be found in over 50 countries wowing customers and providing the opportunity for consumers to feel the future, not the past, when purchasing robotically. 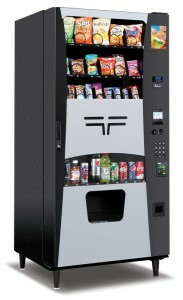 Visit us at www.fastcorpvending.com for more information. Vending World – Buy your New or Used machines online and have them shipped or pick them up your self at our facility in Rancho Cucamonga, California. We have a 30,000 sq. ft building with hundreds of machines in stock!